Consider how Rob Walker and Joshua Glenn used the power of stories in a social experiment. The Significant Objects project was designed to demonstrate how a narrative can affect an object’s value. The creators asked writers to craft rich stories about each object, then they posted each item for sale on eBay accompanied by the sentimental story in the product description. 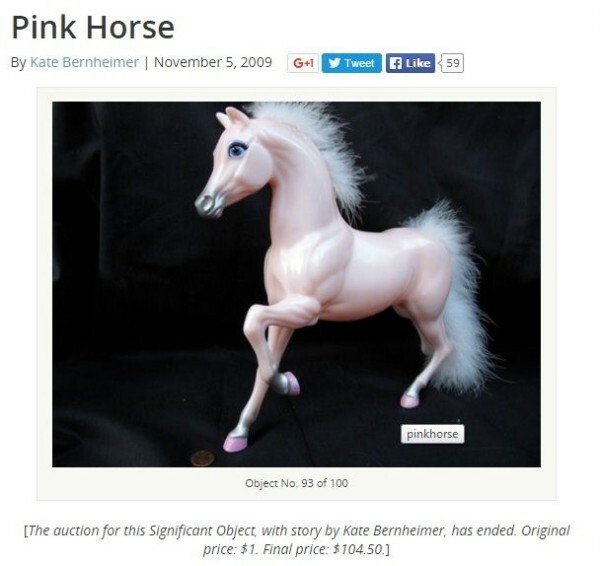 The pink horse product description shared a tragic faux story of a person who sold their body for cigarettes, alcohol, and food; had two daughters who died in fantastical tragedies; and loved the pink horse – the little girls’ only valuable possession. Purchased for $1, the toy horse sold for $104.50. Cumulatively, they sold all their thrift-store objects (average purchase price $1.25) for an average price of $129. I share the Significant Objects project not to suggest or endorse creating fictional stories to sell your brand, but to show the power of stories and how they help us connect as human beings and help raise the perceived value of an object. How can you incorporate that power into your brand’s content? One of the best places to tell your story is on the About Us page. It’s an opportunity to craft a narrative that represents the brand’s aspirations, goals, mission statement, etc. A brand story can share the humble beginnings and the lofty successes. Be true to your brand in a way that works well with your audience. Let’s look at two brands that have embraced the power of storytelling on their sites to better connect with their audiences. Then learn how to tell an engaging story on your own About Us page. 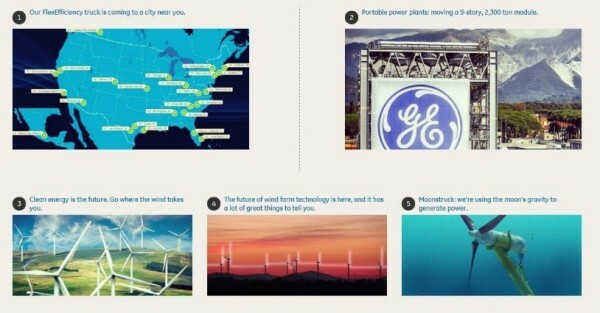 The company Powering division’s About Us page shares a narrative about how its work solves the problem of maximizing output on existing wind turbine assets. Further down on the About Us page, you can learn more about the GE story – past, present, and future. GE connects the narrative to its roots – telling the story from when it turned on the lights to its creation of super-efficient, flex-fuel gas turbines. You can see what GE is doing today – from the FlexEfficiency truck’s travel plans, to its work moving a portable power plant, and explaining how the moon’s gravity is being harnessed to generate power. It also tells the potential future narrative – what’s next for wind farms. Instead of offering a laundry list of products and services with standard corporate-speak data, dates, etc., GE crafts a narrative that engages its consumers and shows how they can succeed with GE. Credit Suisse is an international bank with headquarters in Zurich, Switzerland. Its straightforward About Us page uses a three-minute video to tell the 150-year story of the bank – how it was founded and developed, its purposes, and its values. The storytelling helps the bank to get trust from clients for being fair and transparent. The first thing to do before creating any great content is deep and comprehensive research on your target audience. Who is your customer? What does he/she want? What values does he/she share? How does he/she look? You most likely already have that information whether in the form of personas or something else. This information will help you to realize what story your customer wants to see about your brand. GE first shows the problem it can solve, then tells how similar problems can be solved (middle section), and finally details how it has solved these problems (history section at end). Credit Suisse goes in reverse. It details its history, getting your attention and showing how you can trust the company, and then providing you with the list of services. Both strategies are logically structured based on the expectations and needs of companies’ consumers. A study shared in SAGE Handbook of Political Communication showed that viewers get a sense of a visual scene in less than one-tenth of a second. Then, we start reading the text explaining the picture. Visual storytelling elements can be your way to success to get the consumer’s attention. Your About Us page aims to interest your consumers in your brand, not to become a novel. 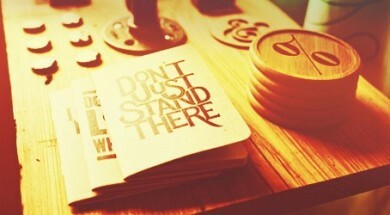 Your brand story needs to be catchy and short. You may want to share many facts and opinions with your consumers, but a lengthy story usually decreases traffic. If you feel a need to share a lot, create a blog elsewhere on your site and use it regularly to communicate those facts and opinions. Make your stories credible. Your story doesn’t need to look like a financial report; however, adding figures and facts will make your consumers feel intellectually involved and make your story more credible. You can use Kickstarter as an example of how to incorporate numbers well. The crowdsourcing fundraising site added one simple slide to its About Us page with three important numbers and the link to get more substantial data for those interested. Don’t limit your storytelling – the power of narrative — to the About Us page. Conduct your own experiment with authentic narratives. Transform your home page from a bland product showcase to a showcase for the story of how the products were conceived and created. You can tell relevant stories on each and every page of your site to connect with your consumers and customers. Storytelling is both an art and science. Think of ways to present your story in an interesting way. Delight your customers with what you do and you should be able to make a place in their hearts. How will you tell your story this year? Will it include a narrative about how you engaged with content marketing experts and cohorts? Make plans today to add Content Marketing World to your 2016 success story. Elena is a Google Analytics certified individual and an enthusiastic online marketer at Promodo who writes about content marketing, social media ecommerce, and SEO. Elena is a frequent speaker at webinars and has been featured in SEMrush, Smart Insights, and other online marketing sources. In her free time Elena organizes events for local IT and startup community as well as studies Chinese. Follow her on Twitter @ElenaRuchko.